on a City Bike Run. Let me just start off by saying GoPro & Mobile Phone Cameras are notoriously bad in the dark. Im not trying to defend that some cameras are better than others in low light. No, there are superior cameras but they cost a whole bucket of cash more. We are filming Travelvids. These are experience videos that capture memories. So how do we make them look good in the dark if we are only using a phone or GoPro? We did two things to make this video with very average cameras. Unless you are literally out in the middle of nowhere, there will always be ambient light sources around. If there weren’t how would you even see? The trick is to only setup shots when you have these lights present. 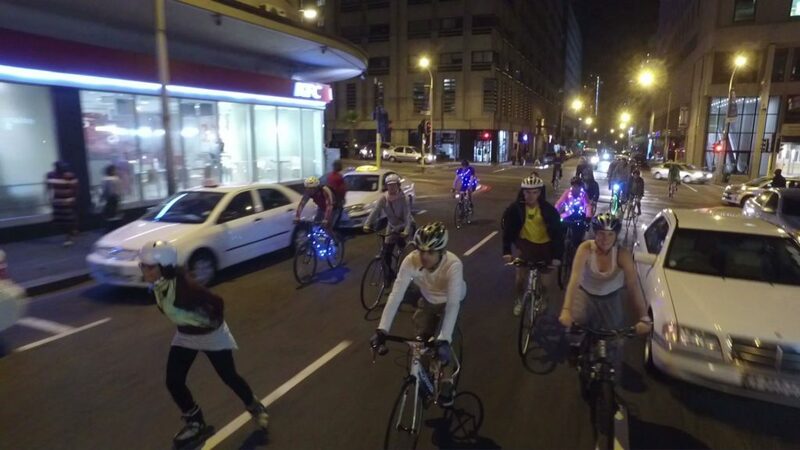 On many of the areas this night cycle took us, there where street lamps, building security beams & fluorescent petrol stations. But there where times where it was so dark it was pointless trying to capture anything. Take a moment to spot the areas that have natural light sources. If it ain’t LIT, keep your camera off. When you know there are going to be a series of light on your subjects you can start filming. This picture below is taken from the same clip a mere 3 seconds after each other. One shows the street lamp overhead and what a difference it makes when it is not there. Is it a bird? Is it a Plane? 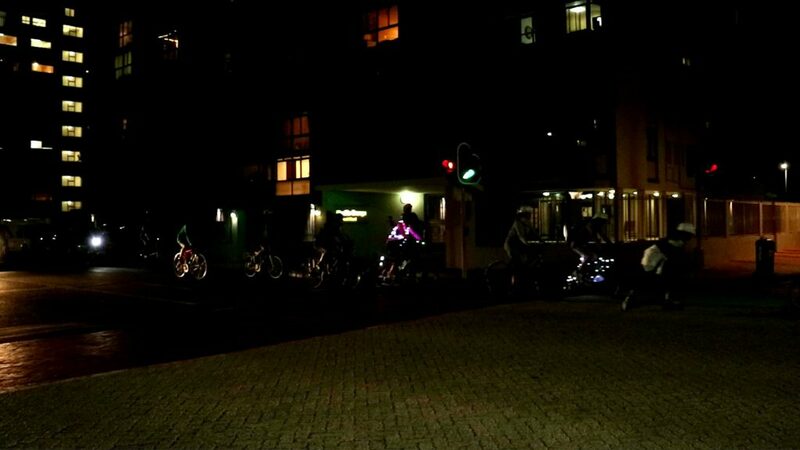 No, its just some cyclists in the dark. See that arrow in the picture? Yes, that is the same car 3 sec later. The second thing we do is keep these LED wall mounts handy. They are the trusty night shoot companions. Not sure what I’m talking about? Yes i mean one of these cheap little lights. 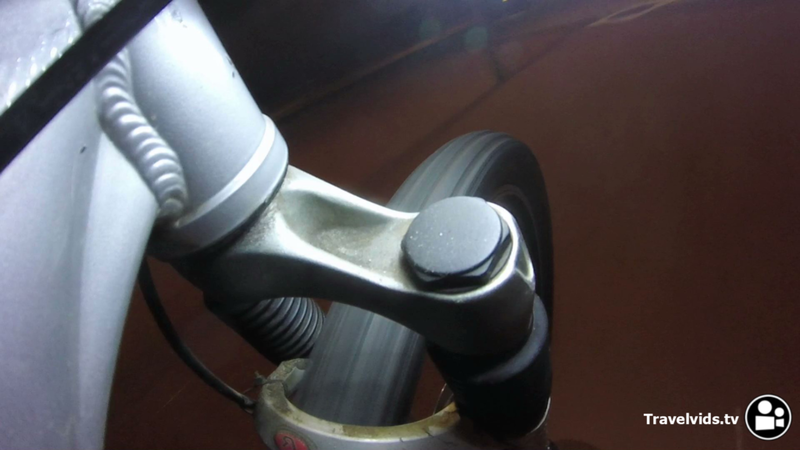 LED lights are great to illuminate close ups like when attaching the GoPro to the Bike. 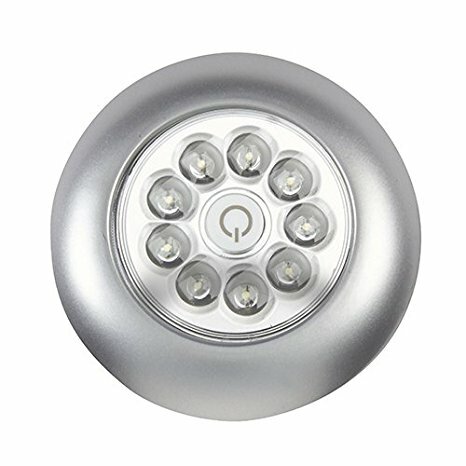 These nifty LEDs are also perfect to help boost the ambient light for when you trying to say something to the camera. Expensive low light cameras and gear is not the most important aspect of shooting in the dark. 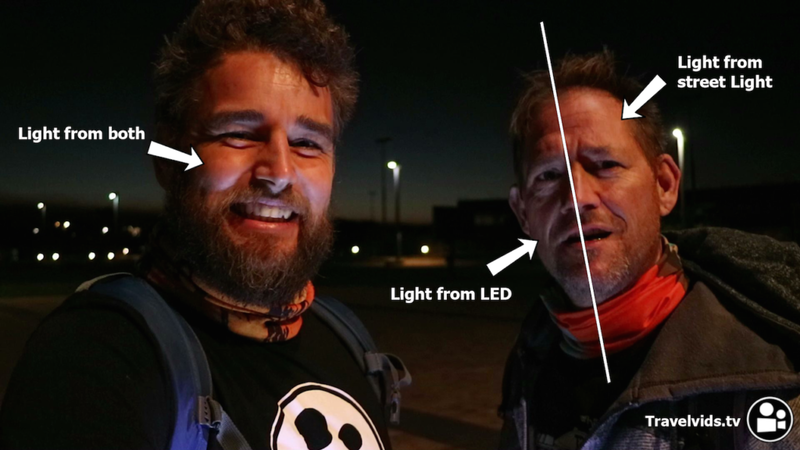 To capture great experience videos all you need is a little practice in identifying the best shooting locations & then keeping a cheap LED light in your pocket. Ready to Get Started Making Your Own Videos?